Nightlife in Mexico City is seriously diverse. I’m a craft beer and late night pizza kinda gal, but I’ve dabbled in clubs and dive bars around Mexico City and I’d love to share what I’ve found with you guys. The majority of bars close between 12 and 2am on the weekends. Some close slightly earlier during the week. Usually between 10 and 12, depending on how busy they are. I’ve broken down this Mexico City nightlife guide by suburb. Let’s get partying. If you’re looking for upmarket clubs with bottle service, cocktails, dance music, and beautiful people, you should head to Polanco. Most of the clubs that I’ve been to in Mexico City charge a cover. All of the clubs I’ve been to in Polanco charge 500 pesos for men ($25) and women get in for free. Your entry fee covers a certain selection of drinks all night. Beers aren’t included, so you’ll have to pay extra if you don’t want a rum and coke or vodka cranberry. Government Club and the Key are my go-tos on a Saturday night. The crowd is a good mix of people in their 20’s and 30’s. The music at both gets progressively worse as the night goes on, but so does my dancing, so I’m fine with that. Be sure to bring an ID and not much else, you’ll be patted down before entering. If you’re in Mexico City at Halloween, definitely head to one of these spots. Condesa is a great mix of upmarket wine bars and live music dives. It’s home to most of the Irish bars in the city and yet none of them seem to serve Guinness. Celtics is a great spot every single night of the week. There’s live music almost every night. The beers are slightly overpriced, but there’s always a nightly offer which is insanely cheap. It’s a great crowd and there’s plenty of dancing to be done here. Be ready for a lot of Oasis covers. On the other end of the spectrum is one of my favorite fancy spots in the city, Xampaneria. Champagne, cava, prosecco, you name it, they’ve got it. They’ll give it to you straight or mix it into a beautiful cocktail. A fun place for a girly night out, but it’s a great mixed crowd on the weekends. There’s usually a DJ and the music is a nice mix of dance tunes and sing-alongs. For nice wine bars head to GrastroCava around the Hiprodromo or La Vineria (Fernando Montes de Oca 52). Both have extensive wine selections and really tasty food. Zona Rosa is the unofficial LGBTQ area of the city. There are tons of great bars here. Simply get out at the Insurgentes metro station and start heading down Calle Genova. There are dance clubs, outdoor bars, grungy basement spots blasting techno, and plenty of late night hot dog stands for when your Uber is taking too long to show up. Most of my favorite spots in Roma are craft beer bars, which I’ve written all about in a separate post. There are, however, some really great mezcal bars around Roma that I highly recommend if you want to try this cousin of tequila. La Botica and La Nacional are right next to each other at Calle Orizaba 161. I believe they’re both owned by the same people, but La Botica is more mezcal, and La Nacional is more beer and food. This whole corner is a plethora of great bars. Mercado Roma is another great spot to start (or end) the night. This two-story food hall has several bars and tons of amazing food stalls. It’s open well into the wee hours on weekends. There’s also another great, but much smaller food hall that I LOVE, Lucerna food hall. Late night burgers here are are a must. It’s heaving with hipsters until 2am. If you’re looking for up-market and up above the road, head to Balmori. This is a really great rooftop bar that is so much fun on a Saturday night. There’s a DJ with really good music (a nice mix of English and Spanish music) and the cocktails are AWESOME. A guy comes around with a cart all night making them tableside. I read so much about Plaza Garibaldi before I came to Mexico City. I imagined this big square with all it’s mariachi bands, outdoor bars where you could sip cervezas all night. It’s sort of like that, but not as fun as I thought it would be. It’s a little bit grungy and most of my Mexican friends have said to avoid the area at night. It can get pretty rowdy and since it’s a pretty cheap place to get drunk, most people do. If you’re looking for a place to enjoy mariachi, head to Xochimilco. If you’re looking for a place to have a few drinks and your staying in the Centro Historico, there are a few great bars and restaurants near Alameda Central. Head to the rooftop bar in Barrio Alameda for great cocktails, craft beers and some nice food. There’s a great craft beer bar called the Beer Store at Avenida Independencia 24 which serves up some awesome beers. Have you ever been to Mexico City? Where are your favorite places to go out? *Don’t forget to check out my Craft Beer in Mexico City Guide if a casual night out is more up your street. What clubs or bars would you recommend if we’re going to be in CDMX for NYE. We’ll be staying in Polanco but are open to going most anywhere. 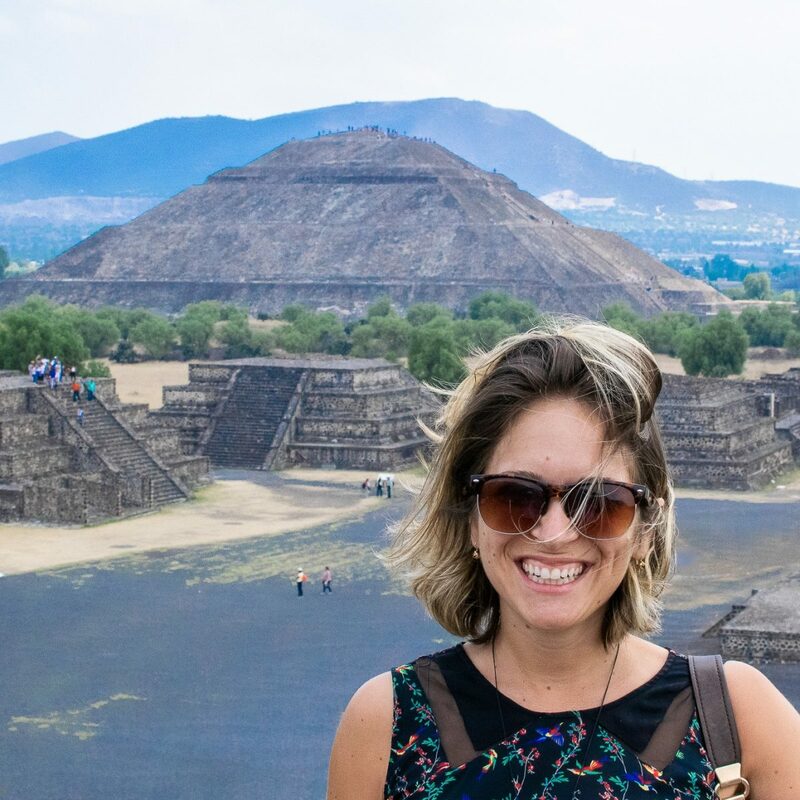 Hey Jillian – NYE in Mexico City is a funny one – it’s mostly a family holiday in Mexico. People make reservations at restaurants and restaurants put on huge buffets that last for several hours. While it’s starting to become more of a big night out, it can be pretty hard to get tickets to a club around Polanco or Condesa on NYE – you have to start booking now (you can usually contact them directly in Spanish or English through their websites). Bars in Condesa along Tampaulipas can get busy from around 11pm until well into the morning.